Did You Know? Alan Rickman was hand-picked by author J.K. Rowling to play Severus Snape. She gave him specific instruction on his character, providing him with important details about his character that were not revealed until the release of the final novel, six years later. Quotables: DUMBLEDORE: And finally, it takes a great deal of bravery to stand up to our enemies, but a great deal more to stand up to our friends. I award ten points to Neville Longbottom. A Word from the Guise: First off, for anyone who doesn’t know me, I refuse to call this Sorcerer’s Stone, despite the fact that I’m American. It is Philosopher’s Stone. Now that we’ve gotten that out of the way. I first discovered the delights of the Mirror of Erised Harry Potter in 6th grade when I was 11 years old. This was almost exactly a year before the first movie came out, so four of the books were already in print. I would have never called myself an avid read, and I probably still wouldn’t, because I have never come across another book that has captivated me like the Harry Potter series had. There have been other works that have come close, A Song of Ice and Fire comes to mind. But first and foremost, Hogwarts will always be my home. I devoured the first four novels at least three times each before the film was released. 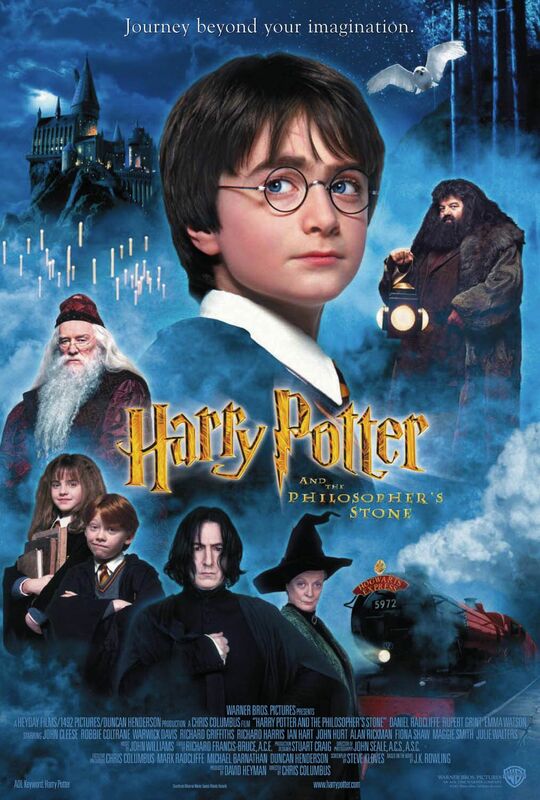 When it was finally released, I went with my family on opening night, dressed in my best: Quidditch robes (my mom’s bathrobe that she died scarlet for me), round glasses, a lightning scar, and a snitch (a Jack in the Box ball, with the face ripped off, painted gold with feathers glued on it). We had to sit in the front row, because my mom didn’t think we needed to get there that early. What a Muggle, right? But even from the front, it was just as amazing and magical as I could have ever hoped it to be. I remembered thinking how wonderfully perfect all of the characters were. Everyone was just as I had imagined them to be, especially Hagrid and Snape. I saw the film twice more in theatres; it would have been more, but at 12 years old, I had to rely on my parents to buy my tickets. The summer that it was released on the archaic VHS, I watched it 17 times, until I had it fully committed to memory. And I’ve seen it countless times since then. And I will watch it countless more in future. As I got a little older, I became a book purist and nitpicked each of the movies for even its slightest of deviations. I was that guy who said, “Actually, Dumbledore was supposed to say that line, not Hermione.” Once I grew up – and became less of a douchebag – the dissimilarities between the novels and the film adaptations grew less significant, and I came to appreciate them as separate entities, which helped me appreciate the Harry Potter universe as a whole even more. I may be biased, but it’s appalling to me that the film series never won any Oscars. Yes, some years, perhaps there were better films that were more deserving, but some of the years it was clearly the superior film in the category for which it was nominated, but it was always bested by some other film. But regardless of the Academy’s opinion, and their general Squibbery, Harry Potter will always be superior to me.